We partner with teachers, schools, school districts, universities, museums, science centers and communities around the world to make our vision of STEM education a reality. There are three main components of the Challenger Learning Center experience—Pre-Visit Activities, The Mission, and Post-Visit Activities—each of which contributes to the strength of the learning process. This is not just a field trip—this is a chance for students to see themselves in successful roles as scientists, engineers and researchers. Teachers are strongly encouraged to participate in a one-day in-service training program during which they receive preparatory materials for classroom use before their scheduled class visit to the Challenger Learning Center. These materials are specially designed to prepare the students for their mission and include skill-building activities in the areas of teamwork and communication. In addition, the teacher is given the materials to help the students understand the thematic topic of their simulated space flight. 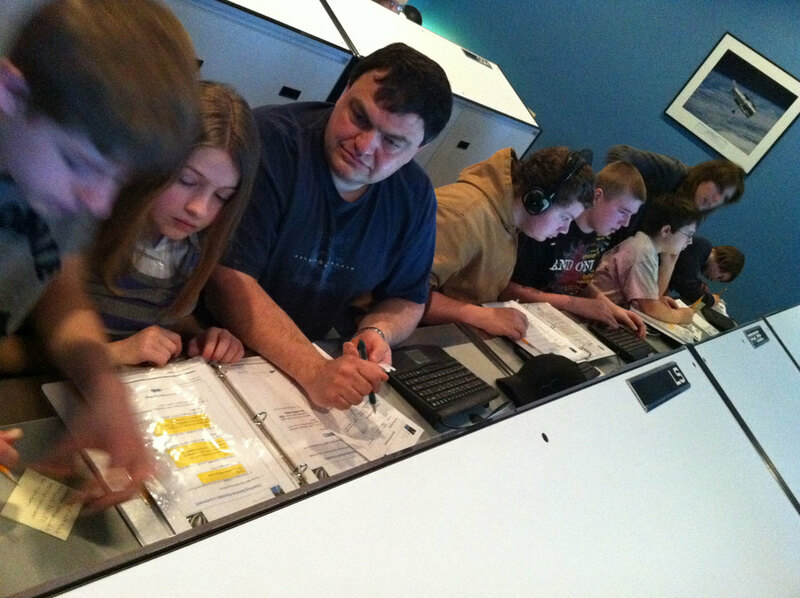 When students arrive at the Challenger Learning Center, a short briefing is held in which they are given their assignments and an overview of their mission. The group is then divided in two, with one-half assigned to Mission Control, and the other half to the Space Lab. Each member is assigned to one of the eight teams that comprise the crew: Medical, Life Support, Isolation, Remote, Probe, Navigation, Communication and Data. Halfway through the mission, the students exchange places so everyone has an opportunity to experience both Mission Control and the Space Lab. Students are assigned to teams in an organized structure similar to teams that are assigned by NASA. Each team is responsible for their portion of mission success. Students will simulate a space mission by performing hands-on activities which are aligned with the academic standards of New York and Pennsylvania. Students will make connections with classroom learning through the pre- and post-center visits at their home school. Once the students have returned to their schools, there are specific programs designed to help extend the experience. The data gathered during the mission is the basis for analysis and reflection. Students conduct post-flight briefings, news conferences and other activities to transfer what they have learned into the everyday world of their classroom and school. I just want to let you know how incredibly impressed I am with your space program. I am not a big fan of field trips and find that most of them are not worth the time and/or money. But spending time at your program was probably the best field trip I have attended as an elementary school teacher. It was so engaging, authentic and meaningful.